To illustrate the benefit individual retail, and local small to medium businesses (SMB’s) can realize from a hyper-localized campaign triggered by a mix consumer insights and real-time behaviors or data, we’ll center it around the MTN OPS Total Archery Challenge at Snowbird, Salt Lake City, Utah July 12-15. For the purposes of our fake campaign we’ll use a light-weight, fake persona, let’s call it a “Phosona”. It represents a completely made-up set of attributes that might be shared by a number of outdoor enthusiasts, conservation-minded people, or archery lovers alike we’ll use to target during the campaign in Utah. Although a wide collection of passionate bow hunters, competition and recreational archers alike enjoy the challenges the mountain 3D course provides, we’ll be targeting a single user journey starting and ending at the airport. The user story below will span 6 days, July 11-16th when troves of passionate archers descend into Salt Lake City, UT. 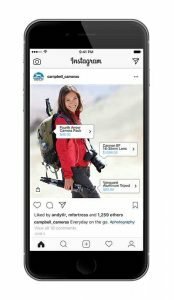 For the purposes of our fake campaign, I’ll assume the targeted phosona tied to our consumer (Terry), has already established an online connection with MTN OPS, Campbell Camera’s, and Total Archery Challenge via social and digital channels also opting in to provide usage data access to her wearable + mobile devices. Provide contextually relevant offers based on behavior, real-time location and wearable data. A busy Seattle-based lawyer who equally loves the outdoors and conservation as much as she does helping small businesses with contracts, trademarks, corporate formation, mergers & acquisitions and partner agreements. She’s a proud, busy, single mother of a 7-year old daughter who also enjoys exploring nature. Terry’s passion for the outdoors naturally expanded into wildlife photography recently getting featured in a online and print conservation publication. Terry and her traveling friend both liked the Total Archery Challenge Facebook page and Instagram channel, booked travel through Expedia, flew Alaska Airlines, and will be staying Best Western just south of Snowbird. We’ll start the campaign with Terry landing in Salt Lake City International Airport with her friend. As Terry turns her phone back on while still on the plane but at the gate, she’s served up an inline Instagram story sponsored by Campbell Cameras. Terry follows Campbell Camera’s Instagram channel so has no problem enjoying diving into their story while waiting to get off the plane. The Instagram story itself isn’t a hard push to sell per se, but a story showcasing in part a new Canon EOS Rebel DSLR she’s been thinking of buying for some time. The story shows different people using the camera in outdoor scenes connecting Terry with using that same camera, regretting not buying it before she left on the trip. Upon completing the Instagram story, Terry “likes” it, providing Campbell Cameras with valuable real-time location data. As Terry and her friend approach baggage claim, they notice digital signage running video content similar to the Instagram story she just liked on the plane. The experiential content leverages the same visual style, merely extending the story and messaging from what Terry just liked. Terry is interested to explore while she waits at baggage claim and approaches the sign to see an offer personalized just for her. 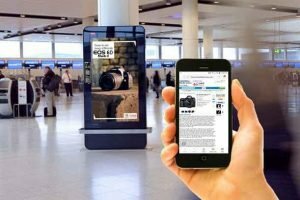 Campbell Cameras knows they will have the highest chance of converting a purchase by offering a steep discount and same-day delivery to if purchased while at the airport. The combination of the Instagram story, additional interaction with curated high res wildlife photography and video appealing directly to Terry’s passion drives purchase considerations most relevant to her. Campbell Cameras then serves a bundled offer of 40% discount and same-day delivery to her Best Western if purchased at the airport. It’s too good of an offer to pass up and Terry pulls the trigger. She uses a QR code scan to securely connect Terry’s Wallet with the digital kiosk, so the purchase is handled through Terry’s mobile device, not the digital sign. The whole interaction is done while she’s still waiting for her bags in baggage claim. Terry gets a screaming deal on the DSLR camera she was going to buy anyway but now is excited to use it at the Total Archery Challenge. You might imagine Terry posting an Instagram story later that day raving about the Campbell Cameras interactive shopping experience ending the story with her holding the new camera delivered to her Best Western Hotel as promised. On the way to the rental car lot, Terry scans her nicely designed email confirmation from Campbell Camera’s where she notices a call to action for “Total Archery Challenge Visitors” to visit local SMB’s before the Archery Challenge begins the next day. Given Terry’s general interest, but also her law practice specializing in supporting SMB’s, she’s immediately interested to learn more. Terry is served up content on her mobile device from 6 local retailers in proximity to the airport, Snowbird, and their Best Western hotel. She reviews all 6 of the retailers with her friend, the corresponding offers, along with misc information about each retailer. 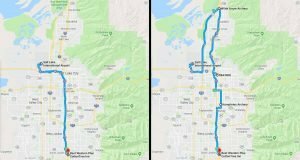 She’s also served up a side by side travel map comparison noticing the unlikely scenario they’d drive over an hour north from Best Western Plus Cotton Tree Inn after a long day of 3D archery shooting. Even though Wilde Arrow is out of their way they both have time to kill and wouldn’t mind flinging – or buying a few arrows. Plus, Cabela’s is up that way – maybe they’ll swing by there too. Terry accepts 3 of the total 6 recommendations and accepts a programmed WAZE driving route w/the waypoints and offers pushed to her mobile device for convenience. 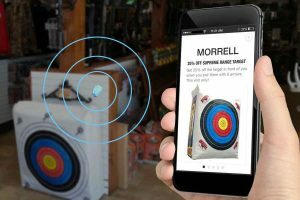 As soon as Terry enters Wilde Arrow Archery, she receives a push notification triggered by an in-store Beacon. One of the offers Terry viewed on the way to the rental car was for a discounted target with the purchase of 6 arrows. She needs the arrows, but could use the target. After a day of travel and some shopping, Both Terry and her friend are eager to dive into great BBQ. It’s lunch time but it’s a good thing Terry accepted the offer targeted at Total Archery visitors who buy two (2) three (3) Meat Plates receive a free Brisket nacho appetizer for free. Terry and her friend arrive around 1:00 local time at one of the best joints in Salt Lake City, R&R BBQ – No brainer! 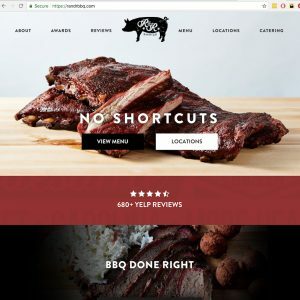 It’s possible for a well-known brand like RandR BBQ to sustain business without leveraging personalized marketing but if you ask the owners if they’d like to market specifically to groups of tourists that come into town they’d say yes. This approach helps build a technical bridge connecting consumers to SMB brands they already love and would like to support. MTN OPS knows Terry (from a data perspective) when she purchased supplements on their online store to get in #ElkShape for her once-in-a-lifetime tag she drew this year. She’s also liked their Facebook page, actively participating in community discussion about the hunt, social posts on her fitness hikes, and traveling to The Total Archery Challenge in Salt Lake City, UT. Instead of MTN OPS following the same marketing playbook so many others do by serving the same general offer to everyone, they leverage Beacon technology trigger a highly personalized experience and brand interaction with surgical precision. 30 minutes after Terry awakens for Day 3, MTN OPS delivers personalized nutritional recommendations to Terry on her iWatch based on her performance data from the previous two days, progress on fitness goals, and expected weather they’ll experience that day. The recommendation could push MTN OPS products, but increasingly brands will find benefit in the value they provide to consumers regardless of an immediate conversion opportunity. Brands are catching-on, cementing long-term brand trust and reliability with consumers is far more valuable than a short-term sale. After a nutritionally dialed in breakfast at a local small-to-medium sized business, Terry and her friend head off for Day 3. 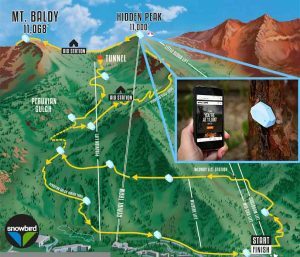 As part of the campaign, the Snowbird course has 12 Location-Based Beacons sponsored by a collection of event sponsors and businesses. 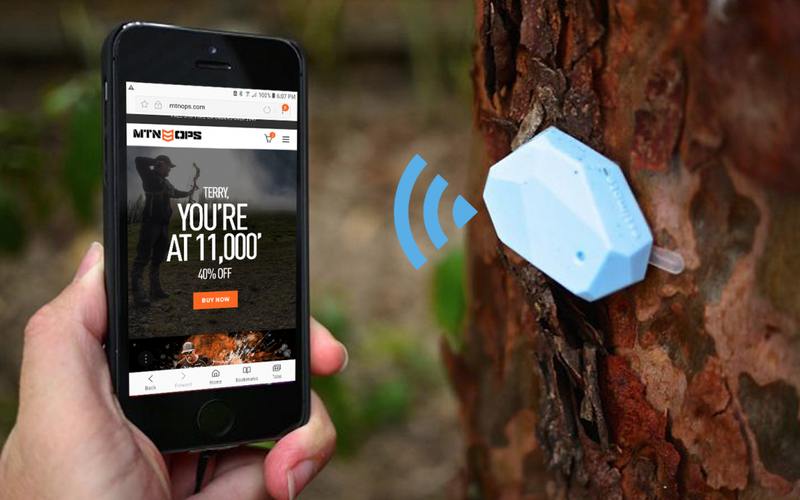 Each Beacon location targets different participants based on their personalized wants or needs, some users never see an offer or notice the Beacons. By synthesizing Terry’s Fitbit wearable data from the previous two days of the 3D shoot, MTN OPS triggers an offer as she enters into proximity of a placed Beacon on a tree near the Hidden Peak shooting station at 11,000 feet. The offer triggers precisely when she’s sucking wind and in most need of a kind of energy MTN Ops products provide. She has Gatorade, but what she needs is the supplements MTN OPS provides to be better prepared for her next preparation hike. While catching her breathe and waiting for the group ahead of her to finish their shots, she decides to purchase the MTN OPS products on her cell phone getting a steep discount for doing so. The supplements are a killer deal, but she sure could go for a infused banana and blueberry shake right about now. Upon the transaction confirmation, MTN Ops pushes a #KeepHammering SMS message to Terry’s phone directing her to the MTN Ops tent at the Mt. Baldy shooting station. When she arrives, she’ll have a complimentary, refreshingly cold, blueberry & banana MTN Ops ignite shake waiting for her. While enjoying the view and comradery with her friend, Terry snaps a few more pictures for her Instagram Story with her new Canon DSLR camera and heads off to the next station and on through finishing off the rest of the archery shoot on Sunday, July 15th. You thought I forgot about the third targeted offer Terry received on the way to the rental car, didn’t you? The final offer Terry accepted on the way to their rental car from the airport is for Monday, July 16th, the day after the Total Archery Challenge ends but before her flight out. 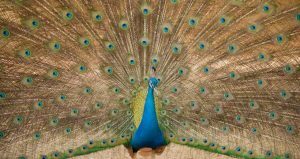 As an outdoor photographer, she’s opted to take advantage of the personalized discount from Tracy Aviary, where visitors may see a collection of over 400 individual birds from over 135 different species available to the public. Campbell Camera’s has a long-standing relationship with Tracy Aviary where visitors can see these birds in their natural habitat and ecosystem providing Terry another opportunity to try out her new Canon EOS DSLR camera. A perfect bookend to Terry’s Instagram story for sure, but also personalized interactions with brands already loves plus she and her friend got a chance to support local SMB’s in the Salt Lake City area. On the brand side, the troves of valuable data for Campbell Camera’s, MTN OPS, Wilde Arrow, Cabela’s, RandR BBQ along with a slew of other sponsors cannot be overstated. 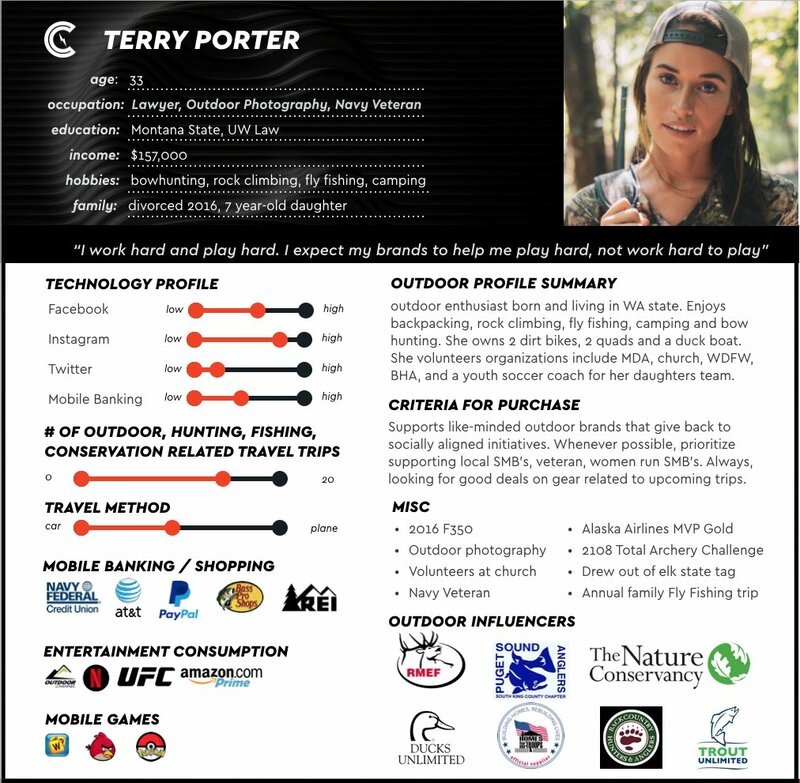 This isn’t associated with Terry’s user story for the Archery Challenge, but instead shows additional ways or use cases personalized marketing can help modernize and strengthen the SMB community in the outdoor, conservation, hunting and fishing industries. Earlier this year, I ventured down I-5 to the Northwest Sportsman’s Show. I had a fantastic time walking around the show, meeting outfitters, guides, lodges, and business owners new and old. I couldn’t help but notice how difficult it was for small businesses to stand out among a sea of companies each trying to attract and acquire customers. All companies benefit from the ability to distinguish their specific customer – who’s looking for your specific service or product – from people seeking something else. These are not the large online behemoths like Amazons or Starbucks of the world, but SMBs where every single slice of business matter as much as the relationship developed through it. 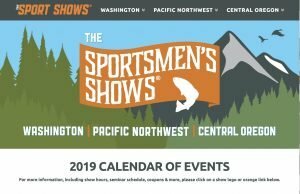 Through Beacons or a host of other solutions, agency partners could help exhibiters modernize by creating an opportunity for content and offers consumers will need or want from a local trade show like the NW Sportsman’s Show, a national show like SHOT or anything in between. The situation of funding for conservation, wildlife management and national parks is dire. It’s a complicated issue, but it’s in part due to declining hunter participation and the revenue which comes from it. There are other factors for sure, but one-way brands like RMEF, DU, SCI, Mule Deer Foundation, NWTF or Trout Unlimited can help drive donations and new donor acquisition is through personalization. 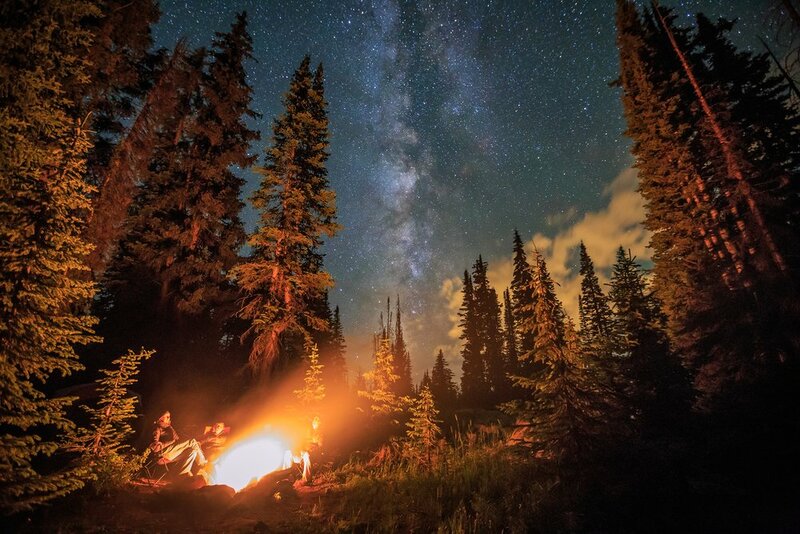 Instead of an offer to purchase, it’s a call to action for a micro-donation to support habitat, National Forrest, get involved, or otherwise specified. The struggles facing small to medium businesses within the outdoor, conservation and hunting space is real. 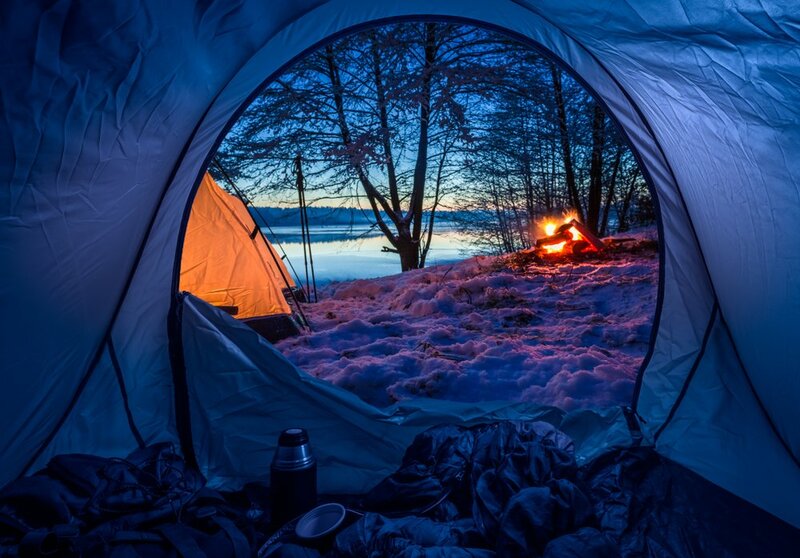 The campaign illustrated in this post, while completely fictitious, identifies a small number of ways brands can modernize within industries that critically support the outdoor market. Pulling off a campaign like this isn’t easy but the collection of brands included in this post could absolutely do it and would see unmatched KPI’s on conversion, engagement, and overall brand loyalty.